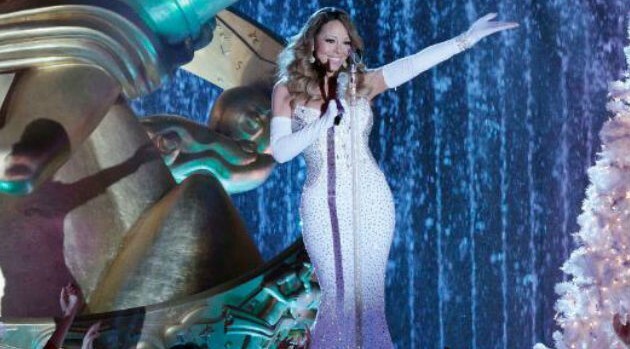 PRNewsFoto/PMK*BNCNow that the Christmas season is over, Mariah Carey will stop singing “All I Want for Christmas Is You” and switch to “Auld Lang Syne.” She’ll ring in 2014 on NBC’s New Year’s Eve with Carson Daly, which airs Tuesday night. Jane Lynch will co-host. Also appearing on the show will be Voice coach Blake Shelton, actor Anthony Anderson, and actress and comedian Natasha Leggero. The special airs on two parts: the first goes from 10 p.m. ET to 11 p.m. ET, and then it picks up again at 11:30 p.m. ET/PT and runs to 12:30 a.m. ET/PT. 2014 should bring a new album from Mariah. While she originally planned to release it in 2013, the project was pushed back.